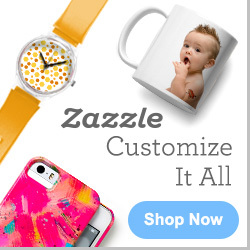 Go to Zazzle.com and start designing!! Check out your options at Timberland.com! Men choose from 2 styles of shoes and 2 styles of boots to customize. Women choose from 2 styles of shoes and 3 styles of boots. Once you have favored a style, design your custom Timberlands by picking your own color combinations, adding initials to multiple locations, detailing them with stitching and hardware, and more! Prices range from $100-$180. Below are only the styles of boots you can choose from. Customize some boots at Timberland.com!!! Launched in October of 2009, Sydney-based Shoes of Prey allows women to create their own perfect pair of shoes. First, design a style by choosing between: 11 types of toes, 6 types of backs, 9 different “decorations” that can be added, 9 types of heels, and the heel height (if any). Once the style is locked down, pick from the many colors and materials to add to the shoes including fish skin, snake skin, leathers, suede, and hair. Not satisfied with the shoes or decide they don’t fit? Return them in new condition and they will refund your money or help you make the needed adjustments. Below are thumbnails of starting styles,an example within their online design tool, and a final result. Start designing by visiting ShoesOfPrey.com! Etnies is primarily a skater brand, but they also have shoes and apparel for other sports like BMX, motocross, snowboarding and surfing. When designing your very own custom shoes at Etnies.com, there are 4 styles to choose from for both men and women. Once you decide on a style, choose colors for as much as 14 different areas of the shoe (equaling a lot of possibilities)! Then you have the option to add text to your shoes near the outside of the heel. Try it! Prices range from $55-$70. Update (3/21/12)!! Etnies has discontinued their custom shoes service until further notice. I will keep this updated. Unfortunately, many of the shoe companies are discontinuing their custom shoe programs. Puma is one of those and do not plan on bringing their design options back any time in the future. You are too late! Choose from 3 awesome styles of shoes from Puma (unisex) to customize. From there, you’ll have to decide between more than 30 different precut materials, colors, and textures to apply to each part of your shoe! Prices range from $100 to $130. Go to Puma.com and check out their cool shoes anyway.